Happy B Organized Today Customers - B ORGANIZED TODAY! What clients say about B Organized Today! A huge weight was lifted off my shoulders and now I’m inspired to work on other areas of the house. Buffy and Angie saved my life! I can breathe again and relax. My house was flooded during hurricane Irma in September 2017. After 1 1/2 years, many boxes were still sitting around, rooms cluttered, finding things was so frustrating! I was completely overwhelmed and crippled by anxiety. Buffy and Angle swooped in, convincing me to let go of things I’ve had for years and no longer love. They found charitable organizations to donate my cherished fabric, crafts, and assorted “treasures.” And brought me the tax receipts! When we got to the garage, miracles happened. Items were again sorted, organized, and donated. Buffy even advertised and found buyers for various bulky items — and brought me a nice chunk of cash. I am now parking my car in the garage!! Thank you, B Organized Today! 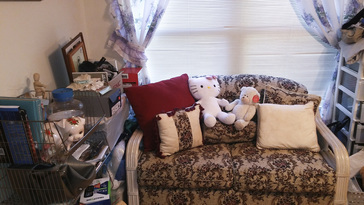 I contacted Buffy to see if she could help me - my late husband was a hoarder and I was tired of all the "stuff" in the house. She came over, assessed the situation and came up with a price. The first day she spent alone with me, going through my walk in closet, getting to know me and my late husband. Buffy had a couple of assistants part of the time, but she was able to clean out my 2 bedroom/2 bath condo in 4 days. She is very hands on. I told her what I wanted to keep and she set that aside. If I ever move I will call Buffy to come back, she is the best! - D.S. Buffy did a fantastic job helping us combine two households (and a lot of years 'collecting') into one home that is organized, streamlined and even has empty drawers/cabinets now (my goal)! She is easy to work with, kept up a fast pace, and had some solid suggestions about how to deal with 'high disorganization zones'. I highly recommend Buffy for anyone looking to get rid of stuff or clear the clutter--she makes it less painful with her sunny personality and sense of humor (even when mine was waning). She is also great at calling the shots and making a plan--when we started my husband and I were overwhelmed by the huge task ahead, and she broke it down into manageable pieces with VISIBLE progress at the end of every session. Getting the before and after pictures at the end of a day really let us see how much we really had accomplished. 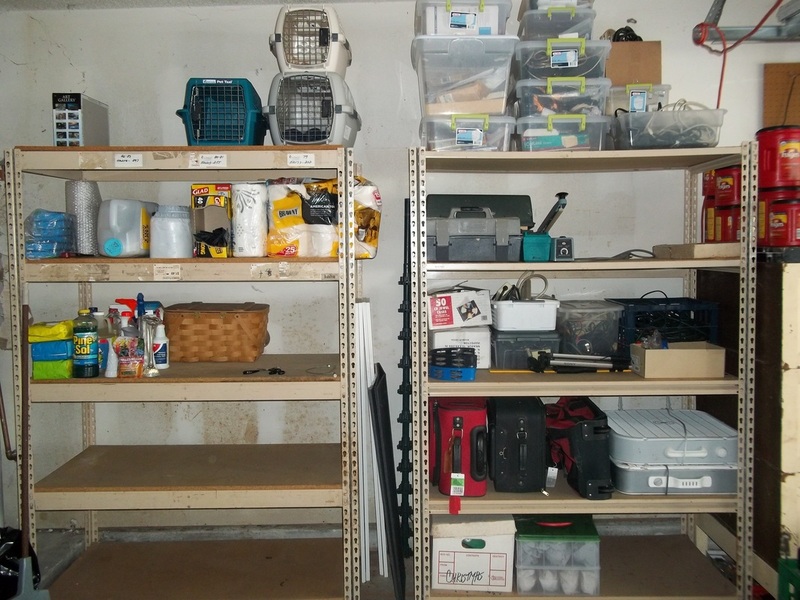 Want to get out from under the clutter, or organize your house? Call her! - Kathleen K.
What a GREAT day! Cleaning the garage in July was definitely hot and tiring, but what an accomplishment. Buffy lead the charge as we attacked 9 years of clutter and junk sorting, purging and organizing in one day what I had been trying to do for 2 years. Her mannerisms were friendly, encouraging and non judgmental which helped the time and task pass quickly. I'll be moving soon and my plan is to have Buffy back to help me organize the new house before the clutter ever starts. Buffy was easy to work with and achieved amazing results easily seen in the Before and After pictures. She helped us de-clutter taking the unwanted items to a charity organizations. I would highly recommend her to help you organize and a achieve a sense of peace.